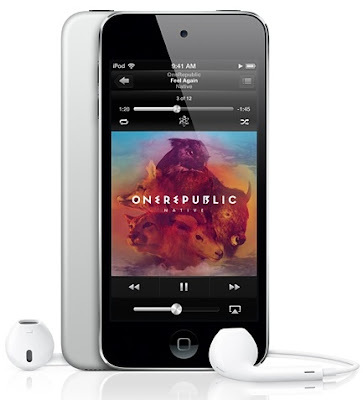 Apple quietly began selling in the US a new iPod Touch at US$229 yesterday. At the same time, it stopped selling the fourth-generation 16GB iPod Touch which comes with a 3.5-inch screen and costs $199. The new model does not come with a rear camera. Although the front camera is still there, it does not offer 1080p video. The new 16GB iPod Touch features a 4-inch Retina Display and is powered by a dual-core A5 processor. It has only one color combination: black front and silver back. It also does not have the loop wrist band that comes with its higher-cost sibling which were released 8 months ago.